Poll Results: Sweden’s Melodifestivalen 2018! This entry was posted in News, Poll and tagged Dotter, ESC, Eurovision, Eurovision NI, Eurovision Song Contest, Felix Sandman, Margaret, Mariette, Melfest, Melodifestivalen, Mendez, Mimi Werner, Samir and Viktor, Sweden. Bookmark the permalink. This entry was posted in News, Ranking and tagged 2018, Benjamin Ingrosso, ESC, Eurovision, Eurovision NI, Eurovision Song Contest, Felix Sandman, Jessica ANdersson, John Lundvik, Margaret, Mariette, Melfest, Melodifestivalen, Mendez, Mimi Werner, Moncho. Martin Almgren, Olivia Eliasson, Renaida. Liamoo, Rolandz, Samir and Viktor, Sigrid Bernson, Sweden. Bookmark the permalink. Sweden Reveal Running Order for Melfest 2018! Swedish broadcaster SVT have today announced the running order for their Eurovision selection show for 2018. 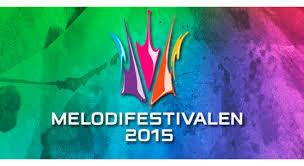 Melodifestivalen will be contested by 28 artists over four semi finals. Read on to find out the running order. This entry was posted in Eurovision Guide 2018, News and tagged 2018, Barbi Escobar, Benjamin Ingrosso, Dotter, Elias Abbas, Emmi Christensson, ESC, Eurovision, Eurovision NI, Eurovision Song Contest, Felicia Olsson, Felix Sandman, Ida Redig, Jessica ANdersson, John Lundvik, Jonas Gardell, Kamferdrops, Kikki Danielsson, Liamoo, Margaret, Mariette, Martin Almgren, Melfest, Melodifestivalen, Mendez, Mimi Werner, moncho, Olivia, Renaida, Rolandz, Samir and Viktor, Sigrid Bernson, Stig Per Larsson, Sweden. Bookmark the permalink. Melfest 2018 Artists and Song Titles Revealed! This entry was posted in News and tagged 2017, 2018, Dotter, ESC, Eurovision, Eurovision NI, Eurovision Song Contest, Felix Sandman, Margaret, Mariette, Melfest, Melodifestivalen, Mendez, Mimi Werner, Samir and Viktor, Sweden. Bookmark the permalink. Frans Jeppsson Wall or simply Frans will defend the Eurovision title for Sweden in 2016. The 17 year old will do this with song ‘If I Were Sorry’ which won the Melodifestivalen contest in March. We take a look at the song in our review. Read on to find out our thoughts. This entry was posted in Poll, Reviews and tagged Abba, Ace Wilder, Bada Nakna, Bruno Mars, carola, charlotte nilsson, Dolly Style, Don’t Worry, ESC, Eurovision, Eurovision NI, Eurovision Song Contest, faux british accent, Frans, Human, If I Were Sorry, justin bieber, Loreen, louis tomlinson, Mans Zelmerlow, Melfest, Melodifestivalen 2016, One Direction, Oscar Zia, Samir and Viktor, Sweden, the herreys, The Way You Are. Bookmark the permalink. Melodifestivalen: Who Deserves a Second Chance? This entry was posted in Poll and tagged 2015, Andreas Weise, Behrang Miri, Bring Out The Fire, Dinah Nah, Dolly Style, ESC, Eurovision, Eurovision 2015, Eurovision Song Contest, forever, Gold and Green Forests, Groupie, Hasse Andersson, Hello Hi, I See You, Kristin Amparo, Linus Svenning, Make Me La La La, Melodifestivalen, Robin Paulsson, Samir and Viktor, Sanna Nielsen, Second Chance, starts today, Sweden, Victor Crone, we can't help it. Bookmark the permalink. This entry was posted in News and tagged 2015, Alcazar, Dolly Style, Emelie Irewald, Eric Saade, ESC, Eurovision, Eurovision 2015, Eurovision Song Contest, Groupie, Heat 2, Jessica ANdersson, Linus Svenning, Loreen, Magnus Carlson, Maria and Sanne, Melodifestivalen, Neverstore, Robin Paulsson, Samir and Viktor, Sanna Nielssen, Sweden. Bookmark the permalink.